Autocorrect in iOS is pretty smart and usually gets things right, it also learns your habits and frequently typed words and will start autocorrecting what you type to the words you have used in the past. This can be a blessing and a curse, because if you accidentally corrected a word to a wrong one or a typo, the iPad/iPhone dictionary will want to use that new erroneous word as the correction. 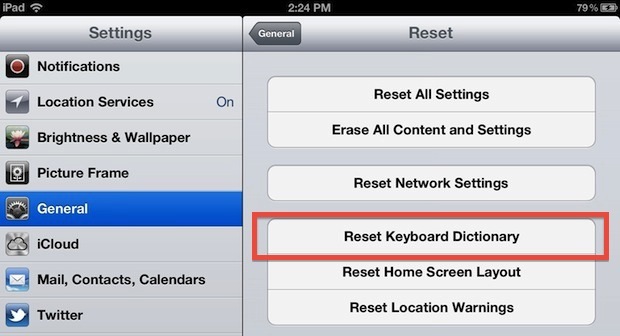 The solution to that problem is to reset autocorrect by clearing out the keyboard dictionary. 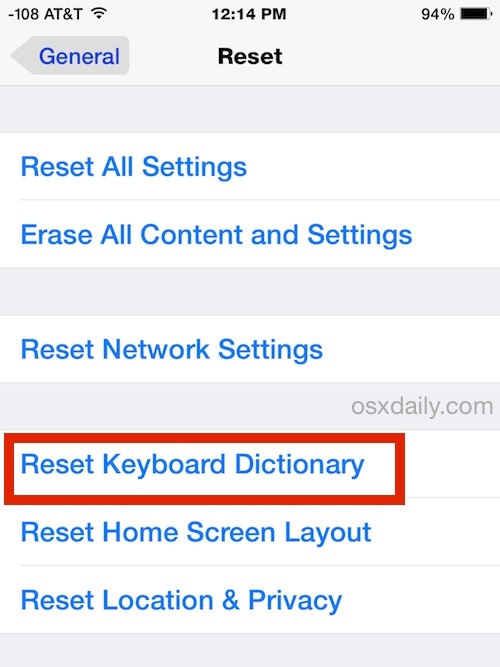 This clears out the entire autocorrect and keyboard dictionary letting you start over from scratch. 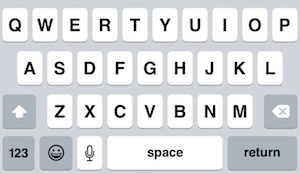 Open up Notes or any other app that lets you type and you can start teaching iOS the proper words again. If you get too fed up with iOS autocorrect, you can always turn it off too, but typically a dictionary reset is adequate to resolve consistently improper corrections. Contrary to some claims, you do not need to reset the iPhone or iPad to factory defaults to fix improper word corrections, though if you had a great dictionary before it got messed up you can restore from a previous backup to get the better autocorrect dictionary back. There are also some suggestions that resetting Keyboard Dictionary helps with Dictation accuracy as well if it’s learned the wrong words, though we haven’t been able to verify that completely. On a related note, a hilarious horribly no-good dirty prank to play on friends is messing with their iPhone or iPads auto-correct dictionary, this causes autocorrect to replace a proper word with a wrong word. Don’t do that though. I wish this reset Dictation, I let a kid play with it for a while and now the quality is horrendous because it trained it to nonsensical sounds and noises. How do you use Notes to train the dictionary again? Type all your typos again? Your advice has worked to fix a peculiar annoyance I’m plagued with on my iPhone4s, but, not on my iPad (original, iOS 5.1.1). In Japan, it’s common practice to tack the honorific suffix “-san” onto someone’s name. Unfortunately, despite the hundreds of times I have typed it (and forced it), autocorrect caps it (“-San”). I have added “-san” to the shortcuts, and even tried your reset method above, turned off the auto-capitalization, to no avail. How can I teach this old dog to hunt? Turn off autocorrect! Maybe you’ve fixed this, 4 years later, but just in case….. You can always turn it back on, after you’ve typed the email. I know this isn’t a good solution, but hey, at least I offered one! I hope this stops the phone from changing the words and spelling I type in. I was getting so annoyed and frustrated, being berated by idiots in comment sections (especially on YouTube) because of FIR and THUS and US because even though I type For, This and is…my iPad insisted on correcting these very basic words. That you again for this simple fix!